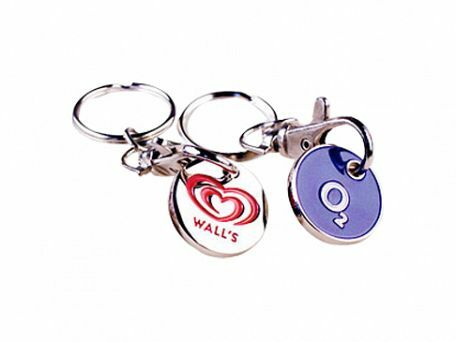 Price is inclusive of stamped enamel design in 1-4 spot colours. There is a tooling setup cost of £65 per design. Minimum order quantity is 300 units. 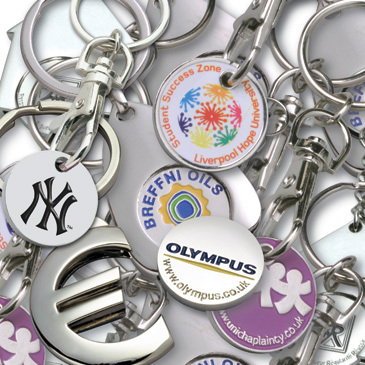 The metal trolley keyring offers fantastic advertising opportunities since they are fast becoming a permanent feature on key chains all over the country. The coin portion acts as a substitute for the pound that releases most supermarket trollies. Your logo can be printed in up to four spot colours on an enamel disk and supplied with lever hook and keychain for extra value.